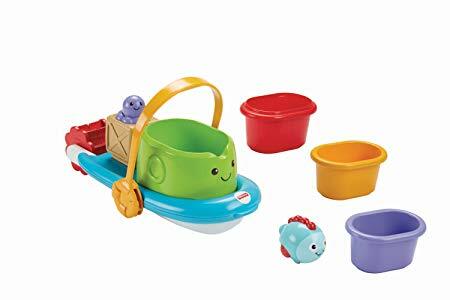 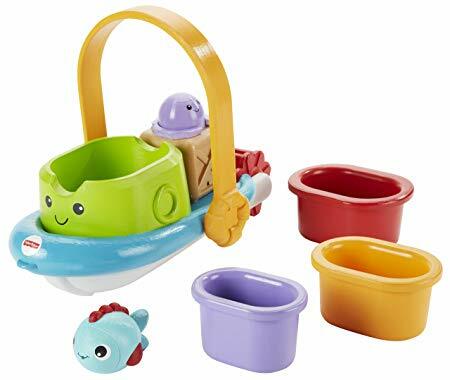 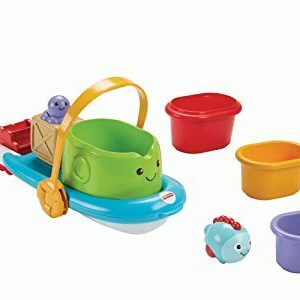 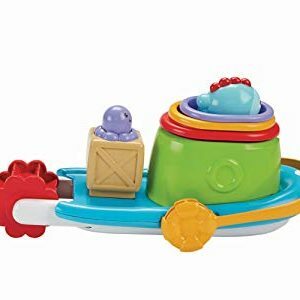 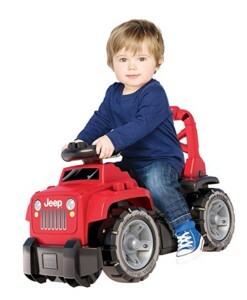 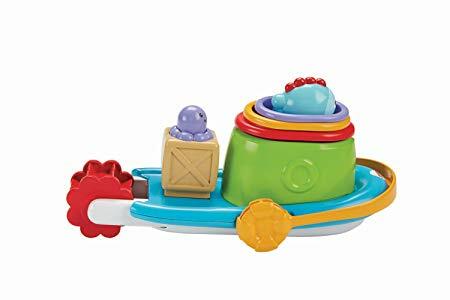 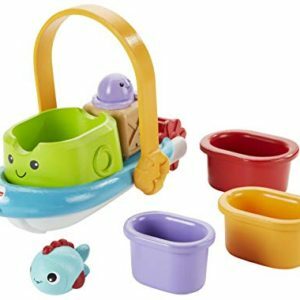 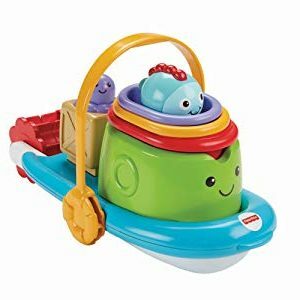 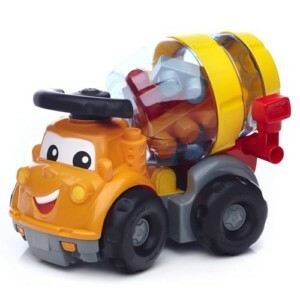 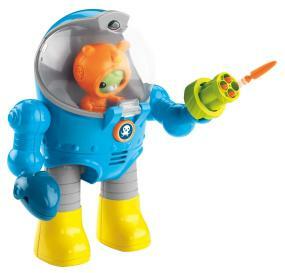 Little mates will love tub time with a floaty boat, a squirt ‘n “swim” fish (it really floats too!) 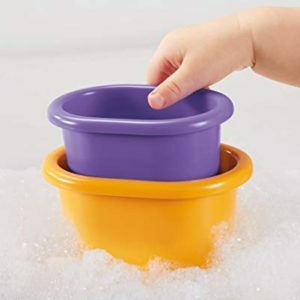 and three stack & nest cups for scooping, straining and pouring fun! 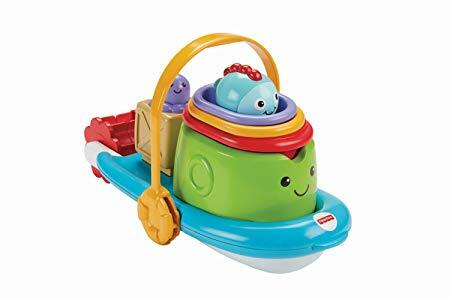 Baby can spin the paddle wheel—and play peek-a-boo with the octopus, too. 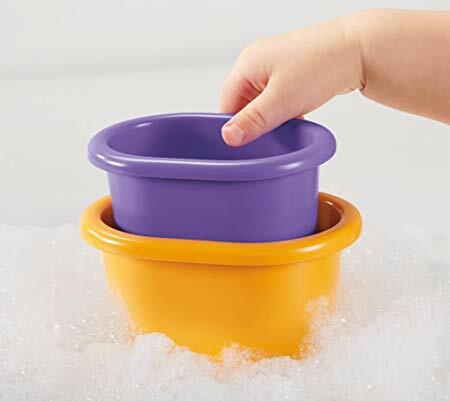 All play pieces fit neatly on deck, with a convenient handle to hang it on the tub spout for easy drain & store. 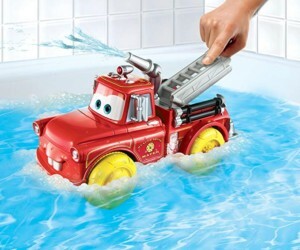 And everything floats!